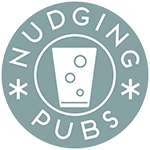 Throughout this project we engaged with one pub, whose manager expressed an interest in finding out and doing more with the experiments. Their own assessment of where they put alcoholic drinks in terms of importance for their venue was a self-confessed “0 out of 10” at the start. Throughout the various stages of the project, they engaged with Club Soda in beer tastings, interviews, workshops, and hosting experiments. 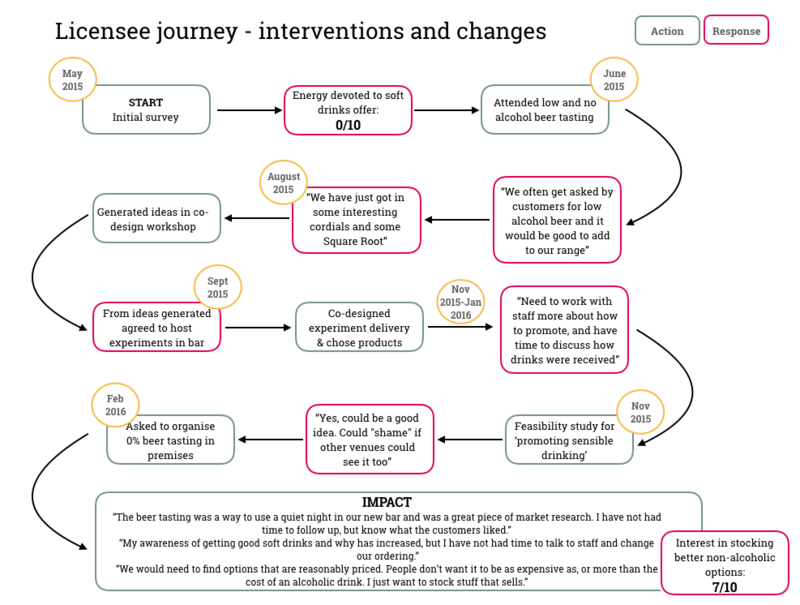 We document in the diagram below the engagements and change journey with this one venue manager in more detail. It is worth noting that “time” came up as one of the biggest factors affecting their capability for discovering new products, and implementing other changes.